I wondered if I could design it as more of a network diagram, where location and size were meaningful. I love concept maps like these, especially those revealing invisible forces and hidden ideas. This one feels particular vital now, in the web tech age, where the San Fransisco Bay Area / Silicon Valley ethos pervades the entire world. 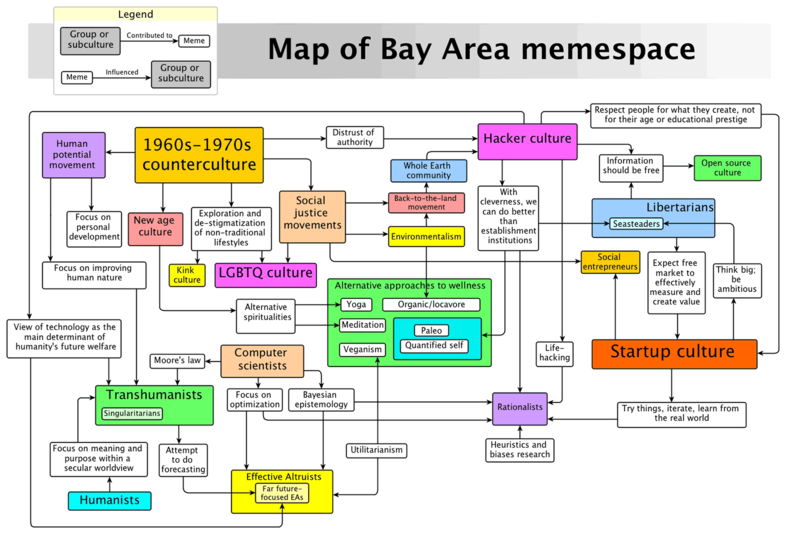 Though the image is six years old, it still captures the key topography of that ideas space. What might an updated version contain? Burners? Stoics? Microdosers?